Steven Land shoes are not only made of great looking leather and have sharp looking styles but are made by hand. You won't see boring style Steven Land shoes and that is because Steven Land doesn't believe in boring when it comes to mens fashion including dress shoes. 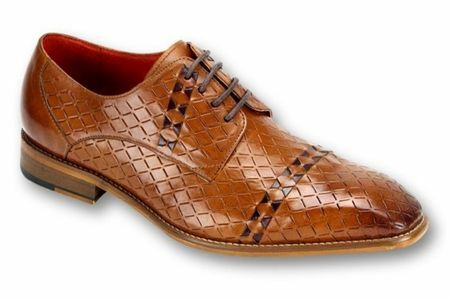 These tan and brown color Steven Land shoes reflect the style that Steven Land is all about.